Here's some cool news for all you vapers out there. Volcanoecigs has just released their brand new INFERNO Tube Tank BCT System, a bottom coil tank with a super simple fill-and-go design that allows for better vaping performance and ease of use. So what is it? Well, the INFERNO Tube Tank BCT system is a 1.8 ohm single coil bottom coil tank that holds 2.5 ml of e-liquid. It comes color-matched for the INFERNO battery, and is made of Stainless Steel and FDA Certified food-grade plastic, which allows you to see exactly how much e-liquid you have left. Each Volcanoecigs INFERNO Tube Tank BCT System comes pre-loaded, with a removable and replaceable 1.8 ohm heating coil that has a Kanthal wire coil and silica wick assembly. 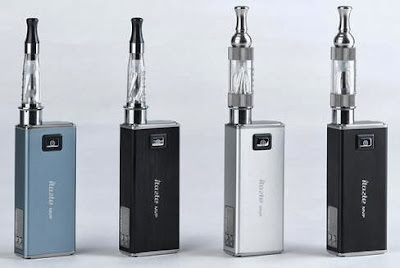 Important note: These tanks are for the Volcanoecigs INFERNO e-cigarette. 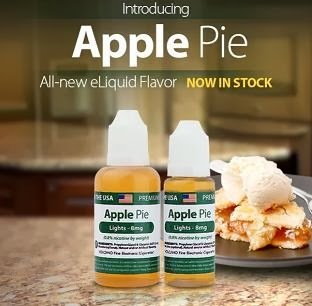 Here's a quick heads up for all you vapers looking for a good deal on e-liquid. Volcanoecigs is currently running an e-liquid sale and offering their Bonzai Banana e-liquid at 30% off! Their Bonzai Banana e-liquid tastes like a banana flavored runt candy. So yeah, it's a candied banana type of flavor. A lot of vapers love this one - but if you want to really kick it up a notch, mix it with their Cherry Lava e-liquid flavor! The 30% off deal is good for both the 15ml and 30ml bottle sizes, as well as all nicotine strengths (24 mg, 12 mg, 8 mg and zero nicotine - 0 mg). Banana flavors not your thing? No prob. Check out their vast collection of other e-liquids. Volcanoecigs currently offers a whopping 42 different e-liquid flavors. Their quality is top-notch, btw. Just wanted to let you all in on yet another big e-cigarette sale going on. 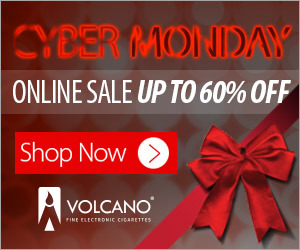 Volcanoecigs is having a Cyber Monday Sale and offering up to 60% off! The sales takes place on December 2nd, so don't miss it! For all the other holiday e-cig sales taking place, see our Thanksgiving and Christmas E-cigarette Sales post. We absolutely love vaping. Probably couldn't do without it. And much like you, our fellow vapers, we totally love saving a whole lot of money on our e-liquid, clearomizers, starter kits, etc. And that's why we're constantly on the lookout for the best vaping deals available. And so, we carefully spent the last week or so compiling a special "holiday vaping deals" list for you - a list that features only the current holiday e-cigarette sales and discounts from the most reputable e-cig companies out there today. So if you want to get some of the most awesome vaping stuff available, and save a lot of money at the same time, then be sure to pay attention. This list covers Thanksgiving sales, Black Friday sales, and general holiday sales. Halo Cigs sale: 15% Off everything storewide! 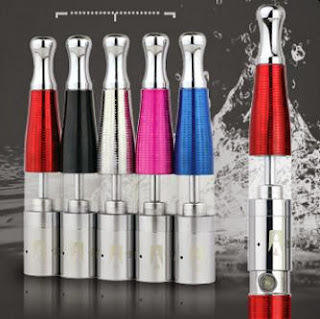 E-liquid, e-cig starter kits, clearomizers,etc. In addition, get double Halo Points and FREE Priority Shipping as well! 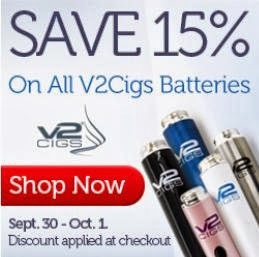 V2 Cigs sale: 25% off everything storewide! V2 Batteries, flavor cartridges, etc. Sale lasts from November 28th to December 2nd. 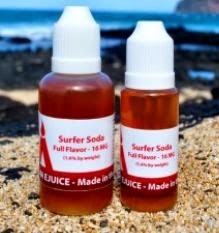 Volcanoecigs sale: Up to 50% off select e-liquid & starter kits. Up to 60% off select accessories. Vapor Couture sale: 25% off everything storewide. 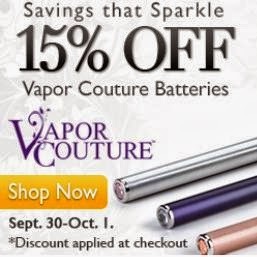 Save on Vapor Couture starter kits, flavor cartridges, batteries, accessories, etc. Sale ends on Dec. 2nd. So there they are - the best holiday vaping sales for the tail end of 2013. There may be a couple others added here in the next few days, but as of now, these are the current vaping deals for this holiday season. 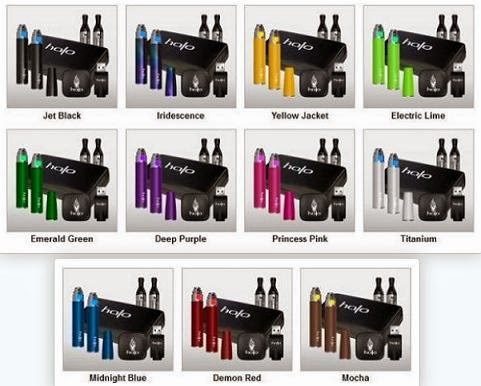 Of course, we'll be sure to add any other e-cigarette sales that pop up, so stay tuned! As our readers know, we've been vaping (and reviewing) e-liquids for quite a while now. So it's no great secret that we've tried many different e-liquid flavors over the years. Some have tasted extremely good, while others just weren't our cup of tea (taste is subjective) at all. But one specific company has always stuck out and impressed us with every single flavor we tried. 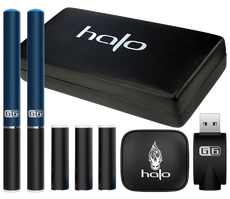 And that company is none other than Halo Cigs (well-known for the famed Halo Triton e-cig). 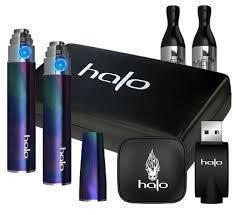 -Not a big surprise for you "seasoned" vapers out there, but newer vapers may not know how awesome Halo really is. 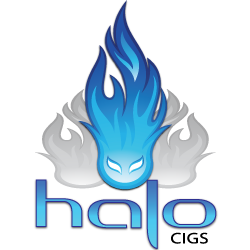 Anyway, and with this year coming to a close very soon, we figured we'd compile a "best of" list to let you know which Halo Cigs e-liquid flavors we've enjoyed the most. So if you're looking for some truly awesome vaping e-liquid, be sure to take note. Btw, these aren't in any specific order. We love each of them, and for several reasons. But actually ranking them in a certain order is a bit tricky, since we (like most vapers) vape according to mood, desire, etc. In other words, one flavor may trump another at one time, but not at another. For example, if you're in the mood for a dessert-flavored vape, you'll obviously want an e-liquid that has a dessert-like flavor to it. However, if you're in a different mood (like for something minty), you may want something completely different! In addition, some flavors go really well with coffee, and some are awesome with beer. So yeah, it's just plain hard to rank them outright. 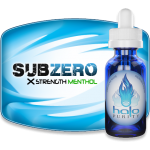 SubZero - Without a doubt, this is the best menthol flavored e-liquid you can get your hands on, period. It's cool and crisp and produces a tremendous amount of vapor. Perfect throat hit, and definitely an all day vape. Btw, this flavor goes great with beer and alcohol. In fact, it's an absolute favorite among vapers when they're out partying with friends. Tribeca - Reminiscent of RY4, Halo's Tribeca is quite possibly the best tobacco flavored e-liquid out there. And vaper reviews certainly back this up. It's also one of Halo's most popular flavors. With hints of vanilla and caramel, Tribeca has a great throat hit and superb vapor production. If you enjoy tobacco flavors, be sure to check it out. Belgian Cocoa - Love chocolate? So do we! 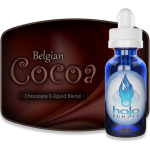 And that's why we love Halo's Belgian Cocoa e-liquid so much. It has dry cocoa undertones that are perfectly balanced with a sweet chocolate top note. The chocolate flavor is delicious (and especially good with coffee!). It produces a lot of vapor and has a really good throat hit (not harsh at all). And yes, it's definitely an all day vape. 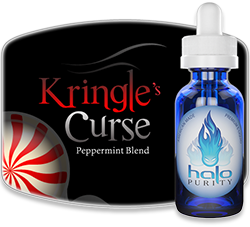 Kringle's Curse - An awesome peppermint flavor with tremendous vapor production and a great throat hit! We vaped this one recently for the very first time - and loved it so much that it instantly became our E-Liquid Flavor of the Week choice. Nice and minty, this one tastes just like candy canes. It also goes really great with beer. We really love this one a lot. Cafe Mocha - Built on a robust cappuccino base, Halo's Cafe Mocha e-liquid is layered with hints of mocha and hazelnut. We love this one. The flavors are perfectly balanced and very smooth. This one is especially good with coffee, btw. Throat hit is perfect, though vapor production is slightly less than other Halo e-liquids. An all day vape for sure, and one of our favorite flavors of all time. 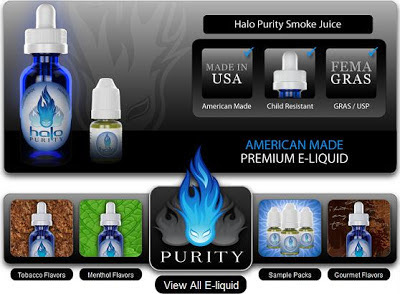 Note: All Halo Cigs e-liquids are made in the USA. All ingredients are FDA approved and FEMA (Flavor and Extract Manufacturers Association) approved food additives. 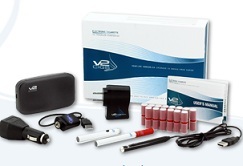 In addition, they use only the highest quality USP grade nicotine (with a Certificate of Analysis). 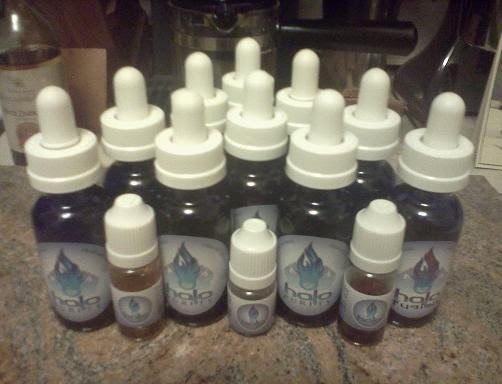 In other words, Halo offers the best premium quality e-liquid available, whereas others often fall short. The Volt iTaste MVP 2.0 from Smokeless Image is an extremely powerful 2600 mAh variable voltage and variable wattage e-cig mod with a built-in Ohm meter that allows you to test the resistance of your clearomizers. But beyond that, it comes with passthrough capabilities, a digital display, and even allows you to charge your other portable electronic devices (like your cell phone, MP3 player, camcorder, etc.). So yeah, it's pretty awesome. Update Note: You'll find it in Smokeless Image's "Starter Kits" section. 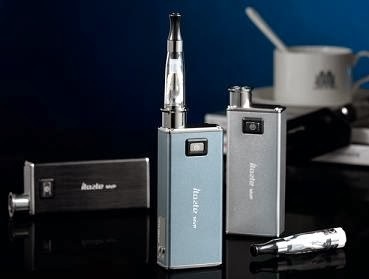 Newly improved over last year's Innokin iTaste MVP, the new iTaste MPV 2.0 comes with a number of substantial improvements. Improvements, both in design and function. Vapers really loved the original version due it amazing performance and battery life, and they're sure to love this one even more. The new Volt iTaste MVP 2.0 now offers variable wattage, as well as a built-n Ohm meter. The firing button has been made more prominent and easier to press, and the beauty ring is now flush with the body. Additionally, the MVP 2 is now compatible with all 510 threaded and standard eGo threaded components. For example, it will now fit Kanger T3 clearomizers, whereas the original version will not. As far as build quality, the new MVP 2 is made extremely well. The body is mostly metal, so it's quite strong and durable. There is some plastic around the firing button and on the screen, but that's to be expected. As for colors, the MVP 2 is available in either Blue Carbon, Silver or Black. • Portable Power Source - The USB output port can be used charge cell phones, MP3 players, camcorders, etc. If you're looking for a really powerful device with outstanding battery life, then the Volt iTaste MVP 2.0 is definitely worth a look. Vapers really love, and for good reason. 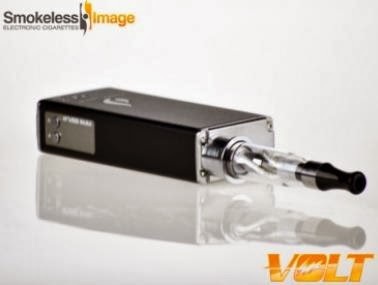 It comes loaded with great features like: variable voltage, variable wattage, passthrough capability, an Ohm meter, and can even be used to charge your other portable devices (cell phone, camcorder, etc.). Like it? 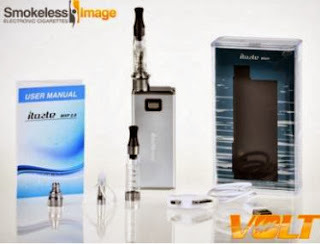 Check out the Volt iTaste MVP 2.0 here in their "Starter Kits" section. Here's a tasty vaping deal. On sale now over at Volcanoecigs is their much-loved Vanilla Bean e-liquid. You can get it now for 30% off! Btw, the sale ends in a few days, so don't miss it! Also, don't forget to check out their many other flavors (39 and counting). Just in time for the holidays, V2 Cigs have released their brand new EX Batteries - their most powerful e-cig battery to date. As part of their EX Series, this new battery design is the latest innovation from V2, and features five LED lights that glow to let you know exactly how much charge you have left. The new V2 Cigs EX Battery is the most powerful battery now offered by V2, and features some brand new and very exciting elements that are sure to add to your vaping enjoyment. With a unique and attractive design, these batteries also feature five (5) LED lights that not only light up when you puff, but also show you exactly how much charge you have left in your e-cig. 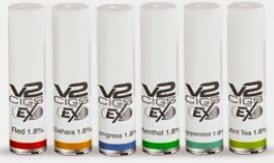 The V2 Cigs EX Batteries are available in several different colors and designs. They also come with a matching cartridge sleeve that will fit over both the regular V2 flavor cartridges as well as the EX Cartridges (coming in 2014) for added looks. The sleeve definitely adds to the overall appearance, and really makes it look awesome and sleek. As mentioned above, the EX Batteries also have five LED lights near the bottom of the e-cig battery itself. These lights glow when you puff, and show you exactly how much power you have left (so you'll know when it's getting low and needs to be charged). This feature is very convenient, and we're so glad that V2 chose to add it. It totally eliminates the issue of leaving your house and not knowing that your e-cigarette battery is running low. As for battery power, this one has it. Battery capacity is 285 mAh (similar to the Halo G6), so it's sure to give you some awesome vapor production and lasting power. According to V2 Cigs, its technology provides a much higher puff count than other batteries of comparable size. NOTE: If you're looking for something more powerful, we highly suggest the award-winning Halo Triton (available in 400 mAh, 650 mAh, 900 mAh and 1300 mAh battery capacities).So yeah, it rocks. 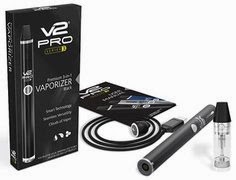 As a respected leader in the e-cigarette industry, V2 Cigs has always made it a point to offer a variety of attractive color options with their starter kits and batteries. And the same applies here. *For more details and info. on the colors and their designs, go here. If you're looking for even better e-cigarette flavor cartridges, then you'll be happy to know that the brand new EX Cartridges will be released very soon! Brand new for 2014, the V2 EX Cartridges have been completely redesigned. According to V2, they're capable of providing up to 500 puffs without loss of flavor or vapor thickness. Of course, they'll be 100% compatible with the EX Batteries. V2 Cigs have definitely stepped up their game with these e-cig batteries. They offer great power (battery capacity) and design options, as well as their unique (and extremely useful) LED indicator lights. We absolutely love Halo's e-liquid. Over the last year, we've ordered numerous bottles and flavors from them, and have been highly impressed by each and every one of them. So if you haven't yet tried their e-liquids, we strongly recommend that you do. 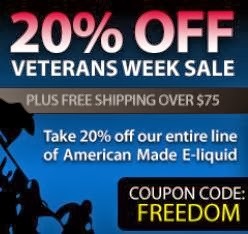 Anyway, just wanted to remind you all that Halo's Veterans Week e-liquid sale will end very soon (at midnight on Nov. 13th). So don't miss it! 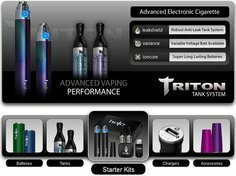 During this sale, Halo (makers of the famed Halo Triton e-cig) are offering 20% off their entire line of e-liquid, as well as FREE priority shipping on orders over $75. So head on over there and take advantage of the huge savings. You'll definitely be glad that you did. 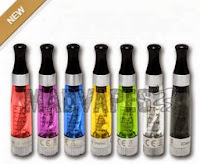 Want a really cool APV (Advanced Personal Vaporizer)? Then look no further than MadVapes. The Vortex Acrylic APV (by MadVapes) is a 3.7 volt APV that has a fan built into the mod. It'll increase the vapor production of a cartomizer, clearomizer, atomizer or tank. A fan is mounted just below the connector that turns on whenever the button is pressed to vape. It'll actually pump out vapor just by holding down the button! 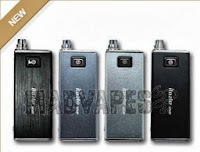 The MadVapes Vortex is driven by a circuit board that offers several advanced features. These features include: lock mode, 12 second safety timeout, low battery indicator, battery voltage readout, over current protection, etc. The Vortex APV has a side-mounted button, and according to MadVapes, "the 510 connector is free to accept any 510 tank." Good to know! Additionally, there are ample vent holes in the side of the Vortex APV for added airflow and safety. 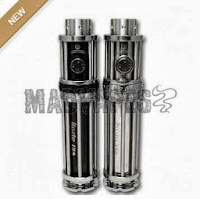 Interested in the MadVapes Vortex APV? Go here to check it out. 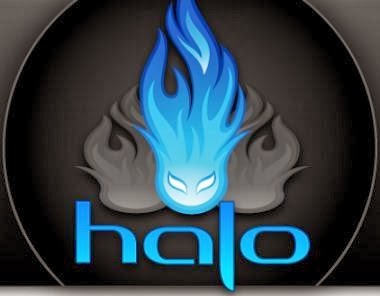 But hey, don't forget about the other awesome companies out there - like Halo Cigs, for example. They're totally awesome, and a must-see for any serious vaper. 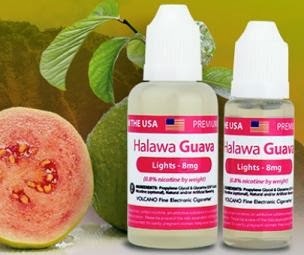 Here's a sweet (and tart) vaping deal! On sale now over at Volcanoecigs is the very popular Sweet Tart e-liquid flavor. All bottle sizes are 30% off. So if you're looking for a great vape that tastes just like the candy itself, then this is definitely one you'll want to check out. Unsure? Haven't tried it? Check out the vaper reviews for it on the Volcanoecigs website. This one is an all-time favorite of many, many vapers and is consistently rated 5 out of 5 stars. The sale ends in three days, so don't miss it. It's the perfect time to get some awesome e-liquid and save money. 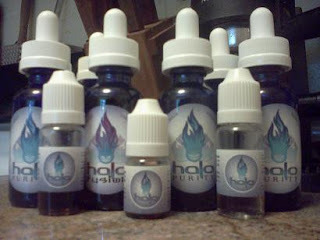 Also, be sure to check out the many other vaping liquids from them (39 flavors and counting). Yeah, they're awesome. Here's some cool news. 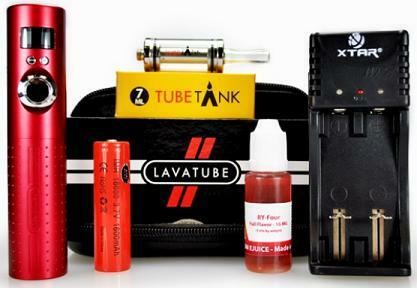 Volcanoecigs has just released the latest version of their very popular Lavatube e-cig. 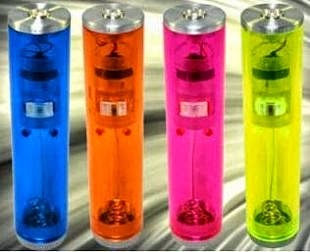 The Lavatube v2.5 from Volcanoecigs is a variable voltage (VV) and variable wattage (VW) e-cig, with a selectable voltage range from 3 volts to 6 volts, and a selectable wattage range from 3 watts to 15 watts. It features an LCD screen, a lightweight aluminum body, an anodized aluminum finish, and is available in six different colors (blue, gold, gun metal gray, pink, read and black). It has two buttons to control both your vaping voltage and your vaping wattage. One button increases voltage/wattage, and the other button decreases voltage/wattage. Voltage can be increased in 0.1 volt increments, and wattage can be increased in 0.5 watt increments. Very nice. The other features are pretty much the same as the previous Lavatube Version 2 (which vapers have love!). It has a 510 threaded connection, two vent holes, a lanyard clip hole, and 18650 battery compatibility. It also comes with a 1 Year Limited Warranty. What Comes In The v2.5 Starter Kit? ---> For the full features and tech specs, head on over to the Volcanoecigs website. There's no doubt that the Lavatube is in a class all its own. 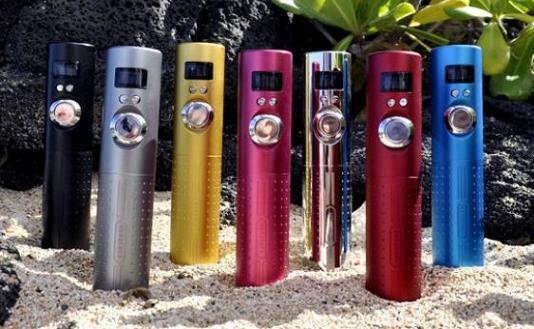 Ever since the very first version was released, vapers have been singing its praises. It delivered not only in performance, but in looks and style as well. So yeah, if you're looking for a high-quality VV and VW e-cig, then be sure to check out the new Lavatube 2.5 version from Volcanoecigs.